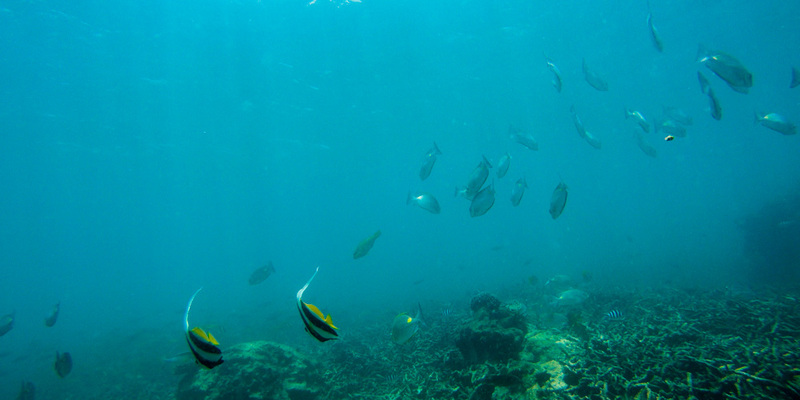 If you are searching for world-class scuba diving, look no further than the island of Koh Tao on the gulf of Thailand. 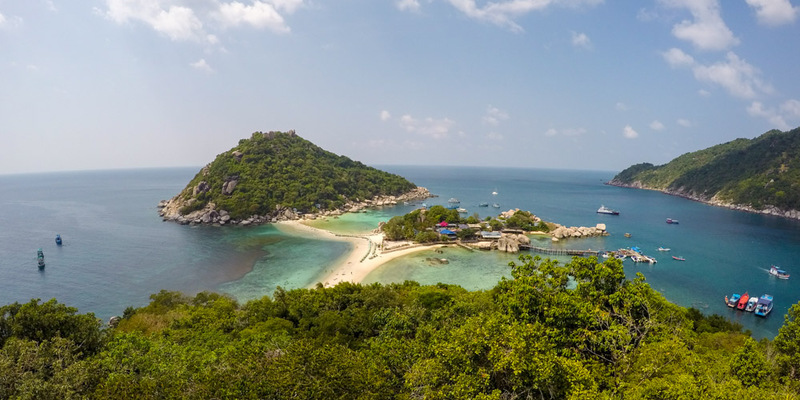 The name Koh Tao translates to “Turtle Island” and it is renowned as one of the best diving sites in all of Southeast Asia and also on the world scale. 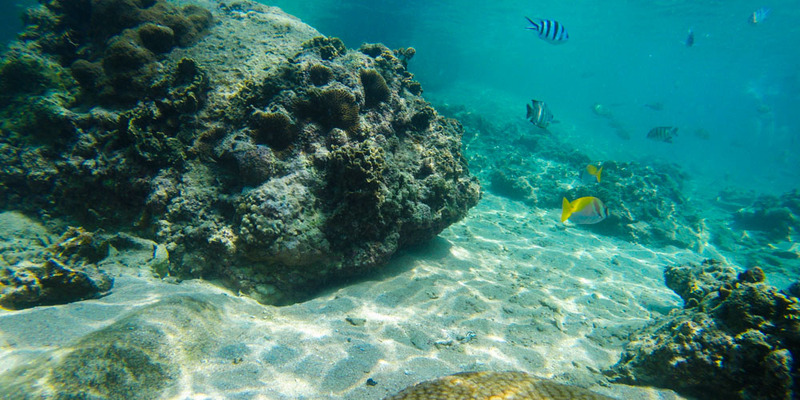 Koh Tao is an island where you can get up close and friendly with unusual fish, corals, turtles and even whale sharks (if you’re lucky and brave enough). Travelers flock here from all over the globe to practice and get their scuba diving licenses. 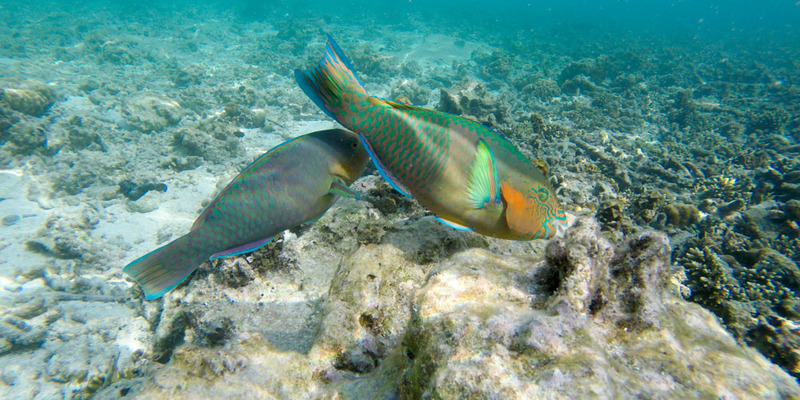 It will be easy to see why when you witness the beauty of the island from the ocean’s surface. In addition, it also helps that it’s much cheaper to do your PADI Open Water course elsewhere.Divers are spoilt for choice on the island with a huge variety of dive schools, instructors, and sites to dive at. A typical diving course will span over three to four days, depending on which package you choose. It doesn’t matter what level you are at as there are courses designed to suit all capabilities from beginner and intermediate to master. When you arrive on Koh Tao, the biggest decision you’ll have to face is which diving school to choose as there are so many. It is recommended to book one ahead. 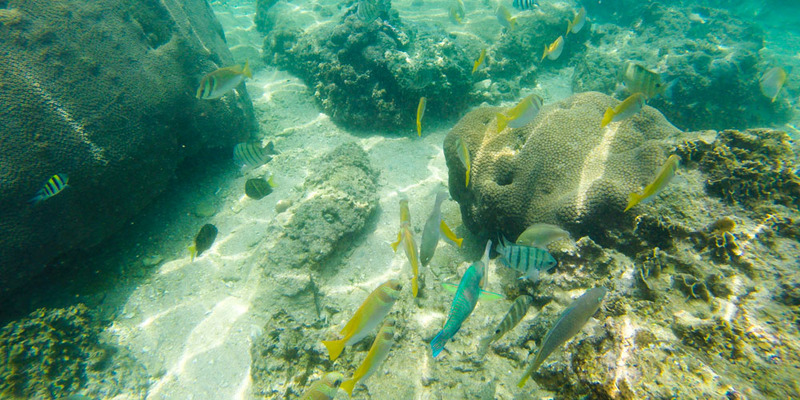 Big blue Diving Resort is one of the more sought after diving schools on the island. They offer expert training from a team of true professionals and the majority of the staff is multilingual. 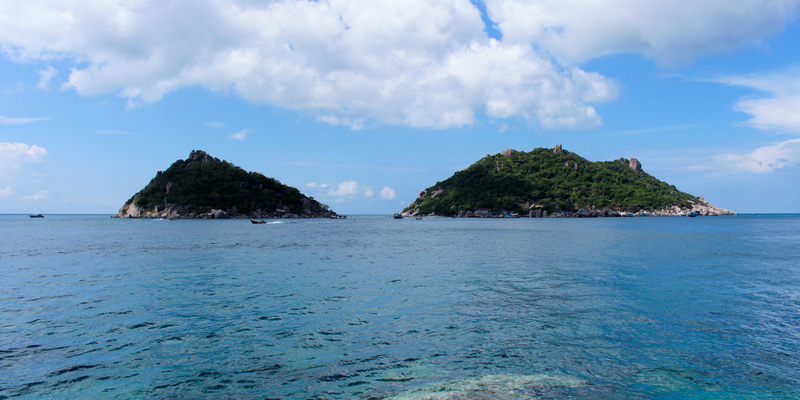 The dive school is located on Sairee beach, which is the main beach in Koh Tao. You are guaranteed to meet people from all over the world here, dive the crystal waters all day and party at night. It couldn’t be more perfect. The scuba diver 2-3 day course offered by Big Blue is the perfect course for those who wish to become a certified PADI diver. Day one (orientation day) on this course will kick off at 4 pm, with a meet and greet with your instructor who will give you the low down on the in’s and out’s of your course. Then you will watch a detailed video of what to expect over the next few days. 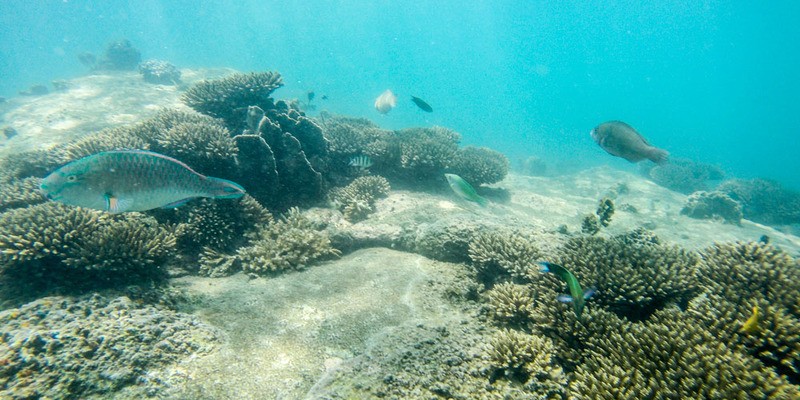 This course costs SGD 292.00 and once you’ve completed it, you will know how to use the specialized diving equipment and you’ll be well versed in the techniques that are used during scuba diving. For dinner, head to Kusto Tapas and Wine, their crispy skinned breast duck and the lemongreass creme brullé are hot sellers! A good selection of beers and wine are available although drinking alcohol before diving is not recommended, stick to their natural fruit juices! The day will kick off with a reasonable 9am start where the instructor and the group will go over the video from the previous day. There will be lots of opportunities to discuss any areas you are unsure of over breakfast and coffee (the only way to start the morning). It is important to take in all the instructions you are given as you will have an exam before lunch time. (it can’t be all play and no work). In the afternoon you will be taken out to a secluded bay where you will practice the ropes in shallow waters first and then, once you are feeling comfortable, you will go out into depths of 3 meters (yay!). I bet you will be starving after an afternoon of diving! What about some pasta for dinner? Portobello Restaurant has a laidback yet classy atmosphere, serving delicious pasta, salads and meats. Try the crab & salmon ravioli or the Mediterranean tagliatelle. Their cocktail list is tempting but remember that you will be diving tomorrow! Today is the day that you will put your diving skills to the test by doing two dives at two different sites of up to 12 meters. Considering all goes well, day 3 will also mark the day where you will become a qualified scuba diver and walk away with a certificate for all your hard work. 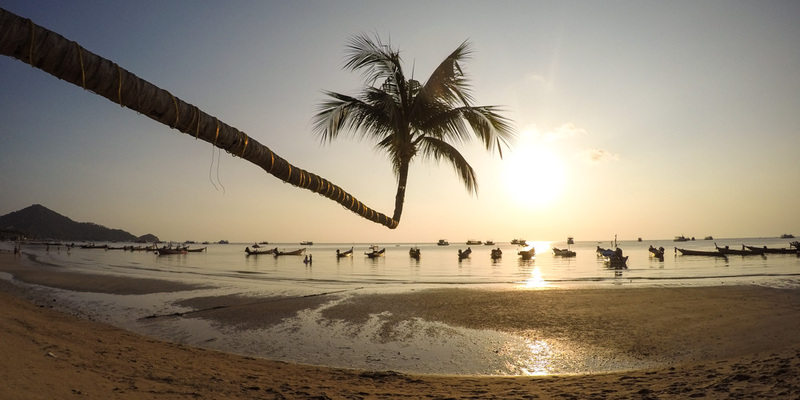 After completing the course you can stay on in Koh Tao (why would you want to leave?) and further your diving skills with more advanced courses. Don’t forget to celebrate your achievement at one of the many hip beach bars on the island. Lotus Beach Bar is a pretty cool place to be. Once your time diving is complete, you’ll most likely start thinking about heading back home to Singapore. 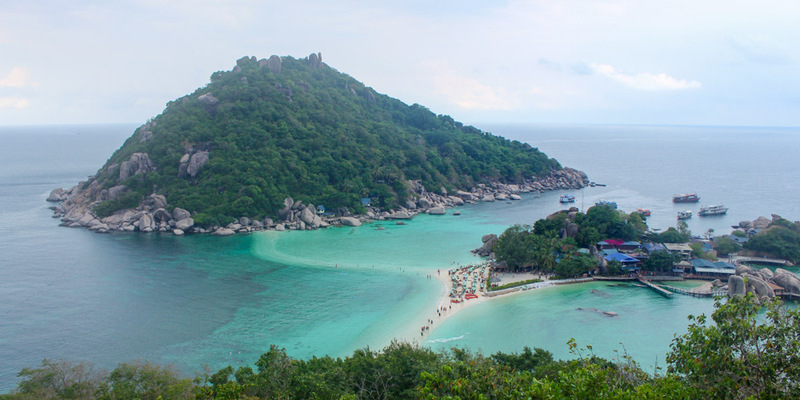 However, it would be silly to leave Koh Tao without visiting one of the most amazing viewpoints in all of Thailand, which is a 15-minute long tail boat ride from the west of Koh Tao. This boat ride can be arranged by your hotel or you can try to talk with boat owners at Sairee Beach. Highly recommended to arrive at Koh Nang Yuan before 9am, or even earlier, to avoid the crowds. Otherwise you will face a long queue to get the famous shot at the viewpoint. Note that the last ferry to Koh Samui departs at 3pm from Mae Had pier, if you are flying with Bangkok Airways at 8:35pm you can’t miss this ferry! Big Blue Diving offers all kinds of accommodation options too so whether you want to stay in a shared dorm, a private room or a luxury bungalow, these guys will have you covered. For those on a backpacking budget and wanting to mingle with fellow travelers, then you can choose between a fan dorm or an air conditioned dorm. The fan dorm is free (excellent news) on dive days and SGD 15.00 on non-diving days. The air-conditioned dorm is also SDG 15.00 on non-dive days and SGD 4.00 on dive days. The mid-range options include Koh Tao Hillside Resort and will offer you a SGD 77.00 air-conditioned chalet. For a little extra price of SGD 115.00 you can stay in an air-conditioned villa with its own private swimming pool. For a truly luxurious feel and memorable stay, book one of the many beautiful villas at Naroua Villas. For just SGD 214, you will be able to kick back in a 1346 ft² private villa with your very own pool. There is no airport on the island of Koh Tao. The closest airport is on its sister island, Koh Samui, and you’ll be glad to know that Bangkok Airways offer direct flights(daily) from Singapore (SIN) to Koh Samui (USM) at 5:25pm & 8:35pm. Silk Air also offers direct flights, a bit earlier, at 8:10am & 10:25am. Flight time is about 1 hour 55 minutes. Also consider tagging the trip along with some time in Koh Samui, another beautiful island in Thailand. Bangrak Pier, the closest one, about 5 minutes driving from the airport. Pranan Pier also known as Maenan Pier. It’s located about 30 minutes driving from the airport. Nathon pier. Located about 50 minutes driving from the airport. To return there are 6 ferries from Koh Tao to Koh Samui at 6am, 6:30am, 9am, 9:30am, 10am and 3pm. Bookings can be done here. 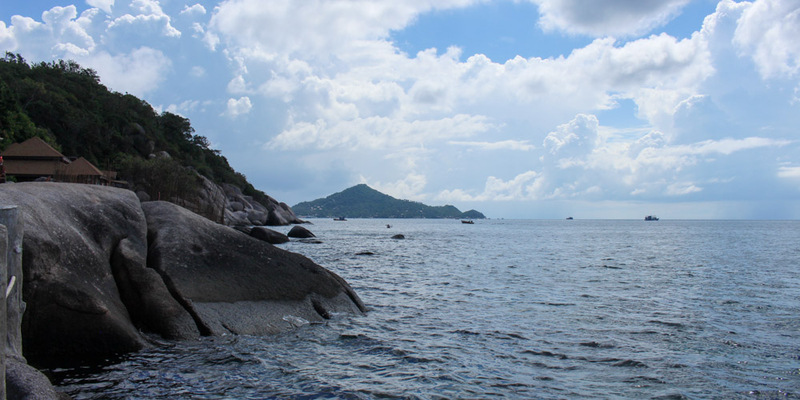 Getting around Koh Tao by foot is an enjoyable way to see the island and will provide more opportunities to see sites. A scooter is also a good option, just remember to bring your Driver license. Koh Tao is a relatively small island so this makes getting around pretty easy. There is also a kind of taxi service should you prefer to get around this way. The taxis here look similar to pickup trucks but will have the word ‘taxi’ displayed on them. Taxis charge on a per person basis instead of just charging a group rate so keep that in mind. There is always the option to get taxi boats, which can take you on scenic trips around the island. As with all destinations in Thailand, motorbike rental is in abundance here too and they can be rented for SGD 6.00 for 24 hours. In the past there have been a few cases of dengue fever linked to Koh Tao. It is important to always use insect repellant in order to avoid any mosquito bites or illnesses. It is also important to be cautious of the fact that there are only clinics on the island, no hospitals. The nearest hospital can be found on the island of Koh Samui but fingers crossed you will not require any medical attention while on your trip. 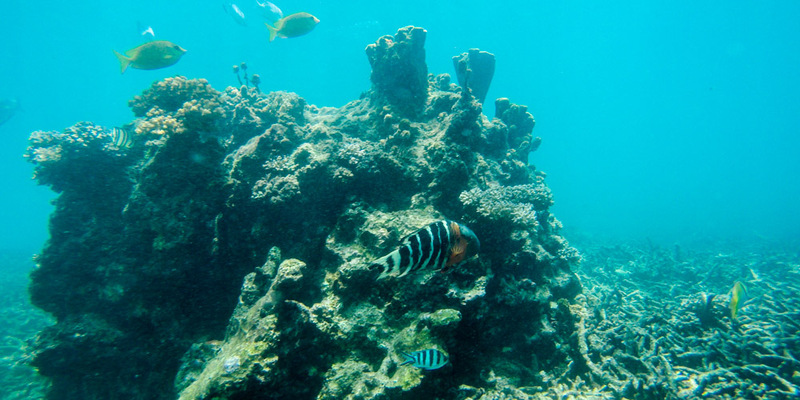 It is possible to dive in Koh Tao all year round, but arguably the best time to visit is from July to September when diving conditions and the weather is superb. Note that you are not allowed to bring any plastic bottles neither plastic bags to Koh Nang Yuan. It’s a measure to prevent littering around the island, there are a restaurant and a bar on site, where you can buy drinks and food. 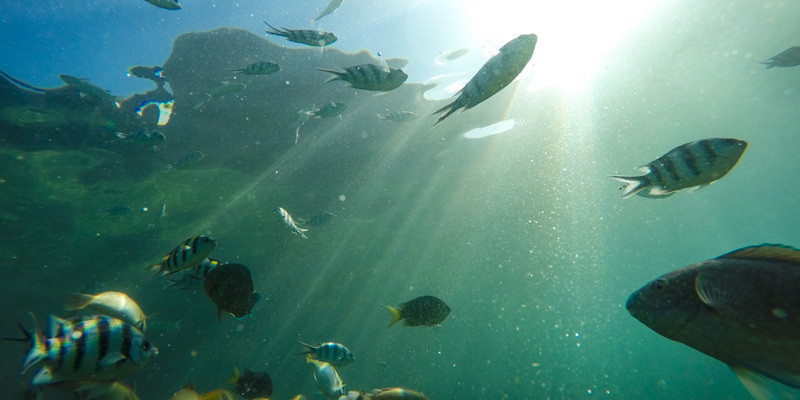 So dive deep in the waters of Koh Tao and don’t forget your GoPro for those mystic underwater shots!